Action and suspense .... That is what we got to experience on our most recent review! We were able to review the latest release ... Season 6: Underground Rising from the Brinkman Adventures. I love using audio books! This is going to sound crazy, but I’m trying to relax my educational style a bit to meet more of the girls needs. But I’m struggling with trying to pack as many educational opportunities into their days as possible. Since we do spend a lot of time traveling between activities and events, I take advantage of audio books while we are traveling. I also use them during art projects, such as when they are painting and drawing. 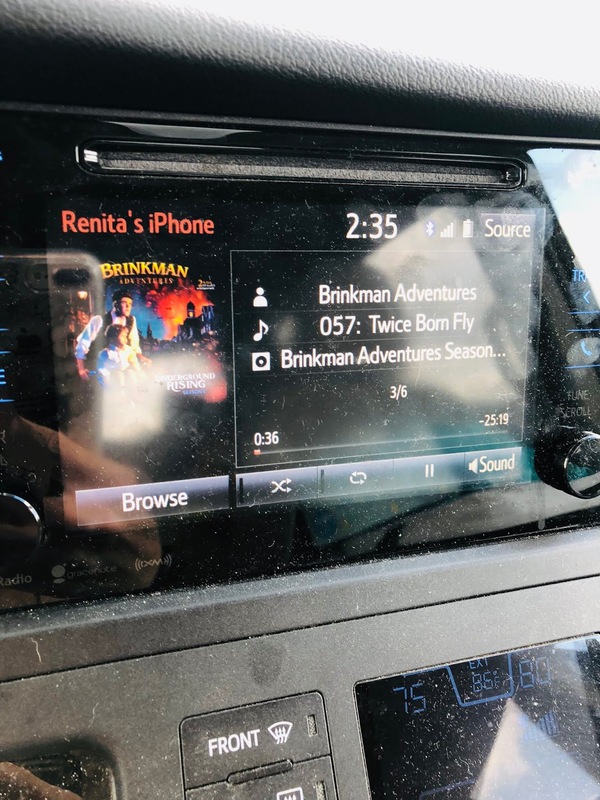 The Brinkman Adventures is a series of audio dramas that feature Christian based inspirational stories that are full of history, intrigue, and adventure. Audio dramas are a bit different than the regular, monotone style audio books where you have a person just reading an unabridged book. An audio drama is similar to old-fashioned radio programs where different actors/people do the speaking parts for different roles and they work together to create a story that you could totally close your eyes and imagine as you listen. The Brinkman Adventures did not disappoint! We received the downloadable format of Season 6: Underground Rising. It is an audio drama with a tale set during World War 2 and you are also swept away with two missionaries on a crazy adventure in Burma. With a running time of just over two hours, Brinkman Adventures Season 6: Underground Rising has a length that was not overwhelming. Each of the 6 chapters were 20ish minutes a piece. Some audio books run 12 to 14 hours in length. It takes us almost two weeks to finish if only using in the van. The girls sometimes get bored with a book like that. 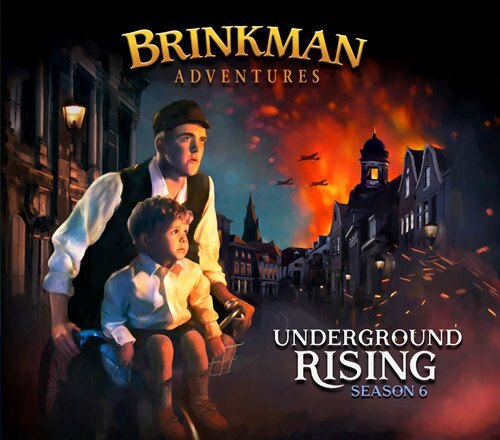 But the Brinkman Adventures - Season 6: Underground Rising was very manageable and the perfect amount of time for their attention. We were bouncing between Great-Grandma telling the story of how she and her husband were serving in the resistance during World War 2. Hearing how he had to hide while she was arrested was edge of our seat. I think we were all three holding our breath waiting to see what would happen. Season 6: Underground Rising definitely gave us lots of history that is not always covered in books. We were able to have discussions about religious persecution. At only ten, Caty struggles with understanding why anyone would be against another person worshipping God. We recently had already been discussing religious persecution that has been happening in Russia, and this audio drama fit right into not only history studies, but also into our Bible discussions. During family time, we were able to expand our discussion to make them think about what would they do if faced with the same religious persecution and had their beliefs challenged. We recently had a trip where just one-way was two hours. So the girls and I were able to fit the entire Season 6: Underground Rising into one session. But since the chapters are short and easy to skip through, we were able to re-listen to sections during family Bible time. The girls and I thoroughly enjoyed listening to the suspenseful stories of Season 6: Underground Rising - Brinkman Adventures. The girls really enjoy a good spy story, and the Brinkman adventures did not disappoint. Would he get caught? Who would get arrested? Would the militia make it up to the escaping villagers? Would she have the baby safely? .... YES!! Constantly on the edge of your seat! To find out the answers you MUST listen to the Brinkman Adventures - Season 6: Underground Rising!!! 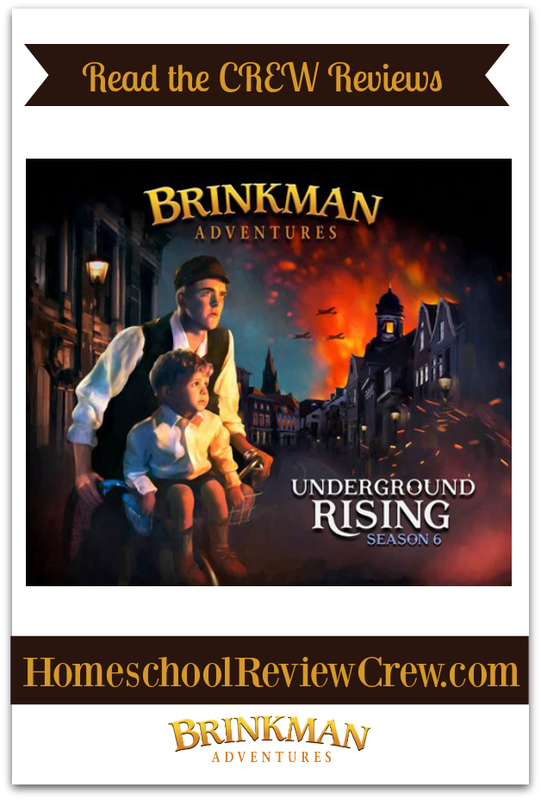 Several members of the Homeschool Review Crew were given the opportunity to review the wonderful family entertainment of Season 6: Underground Rising from Brinkman Adventures. Click on the link below to see how they liked this and how they used it in their homes.